Oil and Gas IMCA recognised diving permit. Harbours, Construction and Diamonds diving. Full Face SCUBA with integrated communications and emergency gas supply. Availability dependent on number of confirmed bookings. Minimum 2 students and Maximum 4 students per course. The IMCA trainee air supervisor is encouraged to learn in their own time at their own pace. On completion of studies the learner will attend SEADOG skills assessment centre and complete the required on-site skills development. On completion the candidate will be awarded the IMCA TADS certificate. 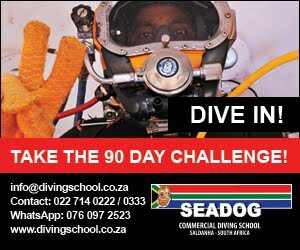 a) Hold an IMCA-recognised surface supplied diving qualification as set out in the IMCA International Code of Practice for Offshore Diving (IMCA D014). b) Have demonstrated competence as an offshore air diver in accordance with IMCA C 003 Rev.1 (Competence Assurance and Assessment) and have completed 100 offshore commercial dives. c) Have satisfactorily completed an IMCA-approved Trainee Air Diving Supervisor training course. Candidates are not eligible to attend such courses until they have complied with criteria a and b above. d) C-DOC strongly recommend you hold an IMCA DMT certification.